Harry Kane could miss the rest of the season after suffering another ankle injury during Tottenham's 1-0 win over Manchester City on Tuesday, fears Mauricio Pochettino. The England captain was hurt in a challenge with City left-back Fabian Delph early in the second half of Spurs' Champions League quarter-final first-leg victory. The two players clashed on the touchline in front of the dugouts, with Delph winning the ball, but standing on Kane's left ankle as he followed through with the kick. 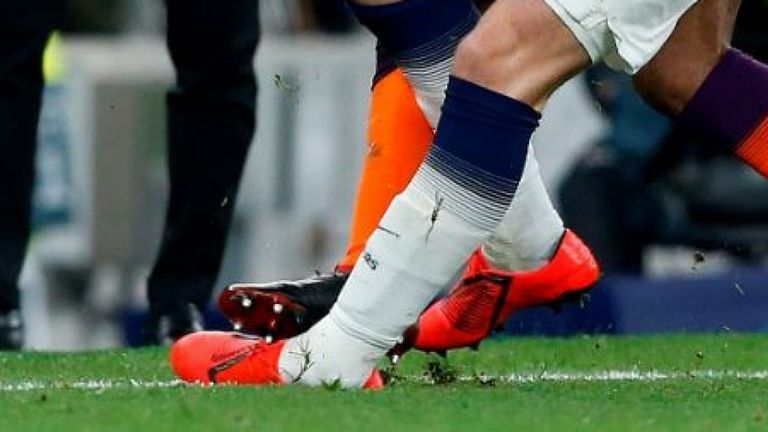 Kane, who exited the stadium on crutches, left the field immediately after suffering the injury and had to be helped down the tunnel by members of Spurs' medical team. Asked after the 1-0 win whether he feels Kane could miss the rest of the season, Mauricio Pochettino said: "Yes. We need to check tomorrow, but it looks the same, a similar issue (to that he suffered against United). "I'm very sad, very disappointed, and it's going to be tough for the rest of the season.